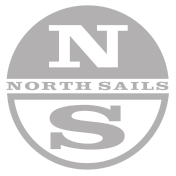 North Sails makes fast and versatile sails for the Interlake class, manufactured using the most advanced technology and highest quality materials in the industry. Our Interlake experts are available to help you get the most out of your North Sails product offering sound advice, tuning information and expertise. The North Sails designers optimized the VII Radial mainsail by making the lower section slightly fuller than the VI Radial which not only increase power but also has shown to respond well to vang sheeting and cunningham for de-powering. This design modification allows for increased acceleration coming out of tacks and off the starting line! Similar to the DSD Mainsail, the jib went through the North systems and was refined to be a robust headsail that works great with or without a furler. The leech edge matches in perfect symmetry to the backside of the mainsail, providing a perfect slot that will propel your Interlake to the front of the fleet.